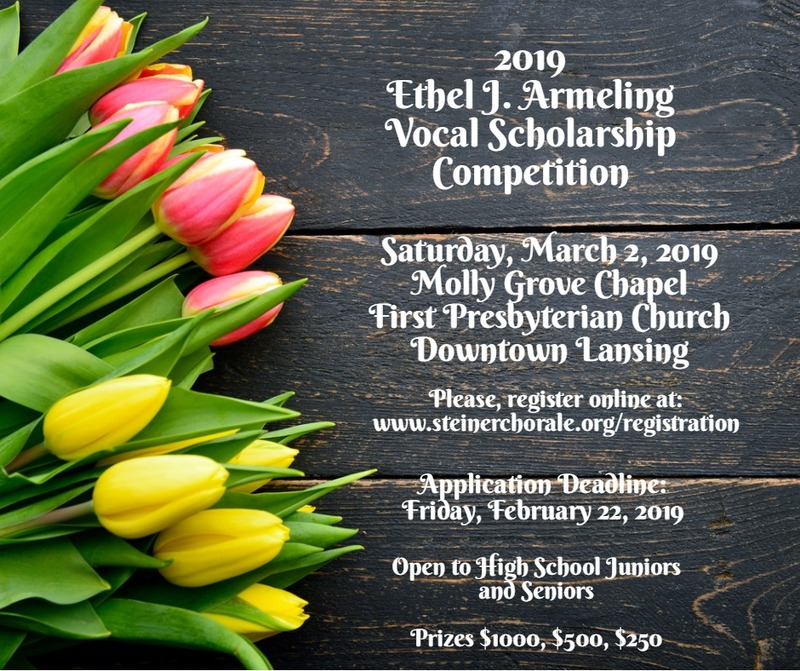 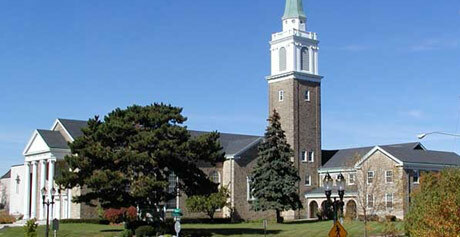 The Steiner Chorale announces today that the preliminary round of the Ethel J. Armeling Vocal Scholarship Competition has moved from Holt High School to The First Presbyterian Church of Lansing inside the beautiful Molly Grove Chapel. 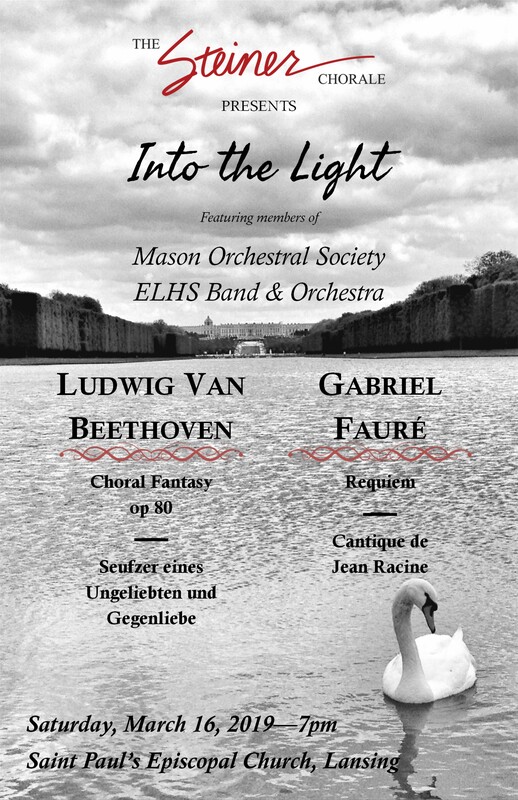 The preliminary round of the competition remains on March 4th. 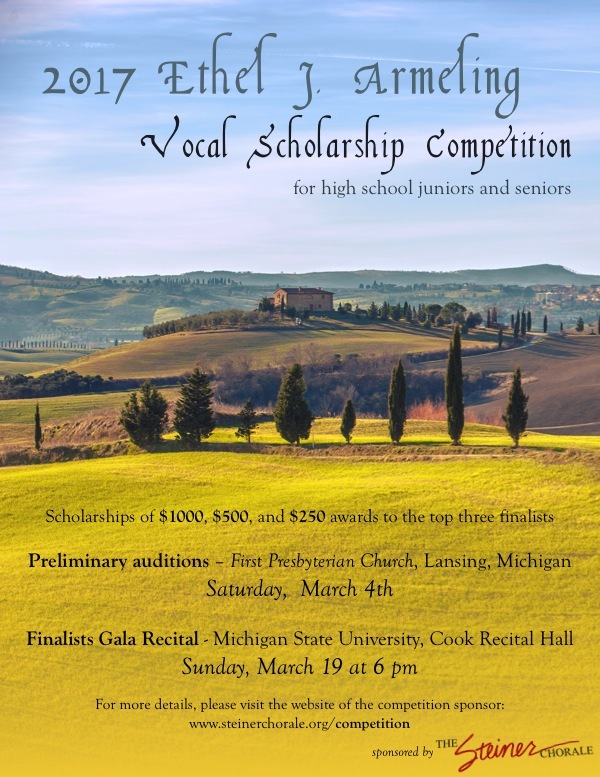 For more information about the competition go to the Steiner competition page.